The British Shorthair (also known as the Brit) is a calm, sturdy, easy-going cat available in a broad array of colours and patterns. 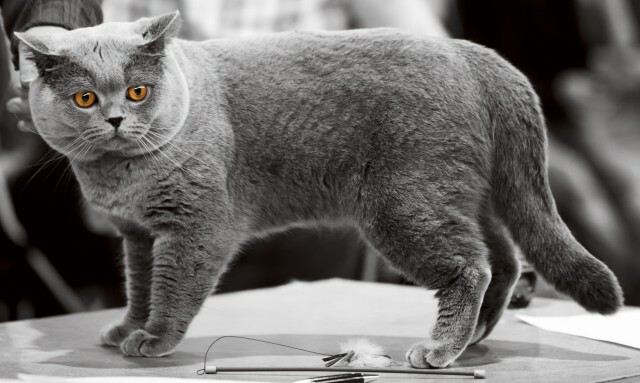 A quiet, undemanding breed with a mellow disposition, the British Shorthair played an important role in British history. Although some cats may have been brought to the British Isles by the Phoenicians prior to the arrival of the Romans, it was the latter who introduced them in great numbers. The Romans kept cats for rodent control, and brought them to the territories they conquered. The British eventually got rid of the Romans, but kept the cats. Cats in the UK were appreciated for their ability to protect food stores from rodents until the Middle Ages when ignorant superstition led many to believe that they were aligned with the devil. Enormous numbers of cats were slaughtered, and many cases, their innocent owners as well. This dramatically reduced the cat population, and so the rodent population expanded unchecked. As rodents carried plague-bearing fleas, the mass slaughter of cats was a significant contributor to the widespread devastation of the Black Plague. Eventually the madness subsided, but cats were still kept by most people for rodent catching rather than companionship, until purebred cats became widely recognized status symbols. British Shorthairs, especially the blue-gray type (often called the British Blue), saw a surge in popularity with the rise of the modern cat fancy movement. In subsequent years, the British Blue’s fortunes fell again as cat fanciers developed a preference for exotic foreign cats such as the Persian, and the two World Wars took a toll on the British Shorthair population. Nearly extinct by World War II’s end, the British Shorthair was saved by cross-breeding its few survivors with Burmese, Chartreux, Russian Blues, and Persians. Although introduced to North America early in the 20th century, the breed didn’t attract much notice there until the 1960s when it was recognized by the American Cat Association, and later the Cat Fanciers’ Association (CFA). 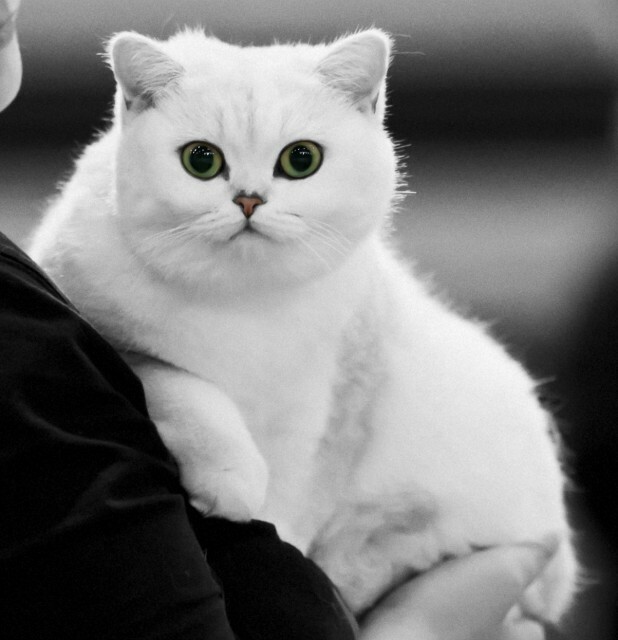 Though the British Shorthair is still relatively rare in North America, in recent years it has ranked among the CFA’s top 20 most popular breeds. A large, sturdy, robust cat, the British Shorthair has a powerful build, with a broad chest, thick neck, short legs, and a thick tail. The oversized round head features large wide-spaced eyes, a broad short nose, full cheeks, and plump whisker pads, which create the impression of a permanent smile. The ears are wide-spaced and relatively small. The British Shorthair is a slow-maturing breed, requiring up to five years to reach its full size, though it is capable of procreating when under a year old. At physical maturity, males usually range from 12-18 pounds and females 8-12. The British Shorthair’s fur, with its thick undercoat, has a soft plush feel that has earned the cat the nickname of teddy bear. The coat thickens significantly in the winter months. British Shorthairs are available in a large number of colours and patterns, with blue-gray being the most popular. Many people confuse the Russian Blue with the blue British Shorthair, but Russian Blues are slender cats with green eyes. The British Shorthair is a laid back, easy going, independent cat. Confident, though somewhat reserved around new people, it is undemanding, affectionate, and loyal. Among the quieter and more docile breeds, these cats are not particularly active, needy, or vocal, though they are known for their loud purr. The meow tends to be soft, and is used only occasionally. The British Shorthair is not a lap cat. Most will stiffen and turn their heads away when picked up, or even squirm and try to escape. However, they enjoy sitting beside their favourite humans or at their feet, and tend to be couch potatoes after their first year of life. Intelligent, trainable, patient, and calm by nature, British Shorthairs are often used in movies and television commercials because they are easy to work with. Their mellow temperaments also ensure that most are very good with children and other animals, and they will happily spread their affections among many different members of a household. The British Shorthair doesn’t require as much grooming as longhaired breeds, but because its dense coat is prone to shedding, spending 5-10 minutes once a week with a steel comb is a good idea. Additional combing sessions may be required during the spring and fall when the cat sheds heavily. The British Shorthair is a descendant of the tough alley cats that survived religious persecution and two major wars. As such, it is a hardy breed with few health issues. Indoor British Shorthairs generally live 12-20 years, barring accident or disease. Weight gain in middle age may be an issue, however, so some must be switched to lower-calorie food at this time to reduce the risk of diabetes and other obesity-related health problems. The only serious problem that has been associated specifically with the breed is the death of kittens as a result of blood type incompatibility. Legitimate breeders prevent this by conducting blood type tests to ensure that they don’t mate cats with differing blood types. Pet-quality British Shorthair kittens usually cost between $400 and $600, and show quality range from $800 to $1,500, though prices may be a little lower or higher based on bloodlines, colours, patterns, and other factors. 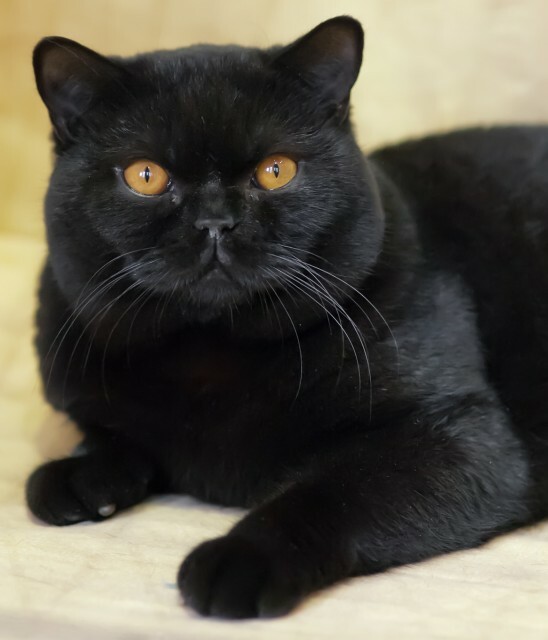 To provide a loving home for an adult British Shorthair in need, contact the British Shorthair Rescue or visit PetFinder’s list of British Shorthair cats available for adoption. Helgren, J.A. (2009). 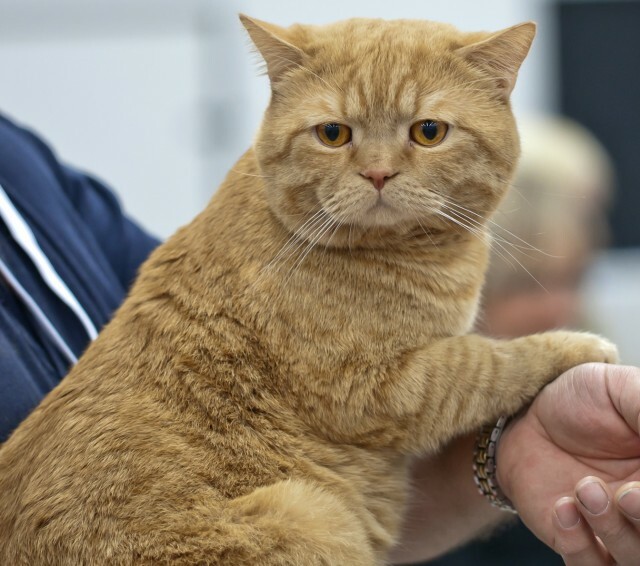 “Choosing a British Shorthair.” PetPlace.com. Noble, K., CFA. (11 June 2009). 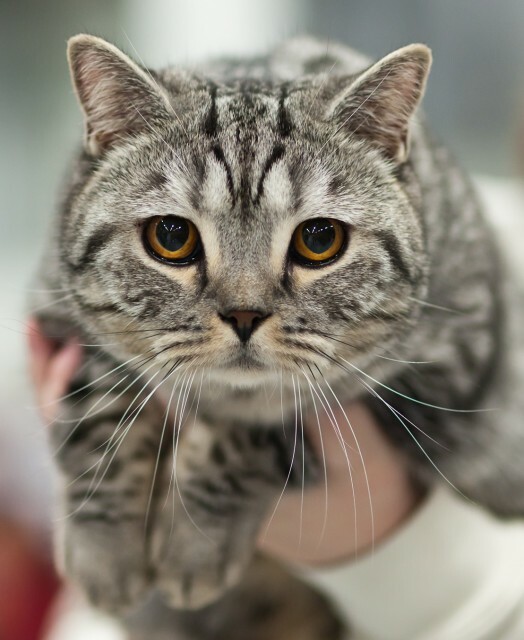 “Breed Profile: British Shorthair.” CFAinc.org. Vosburg, E. (n.d.). “The British Shorthair: Cat Breed FAQ.” Fanciers.com.